Don’t just gain users – Keep them. With 1 in 4 apps being abandoned after the first open, it is essential to make sure your investment in mobile is not forgotten. The number of smartphone users far outnumbers PC users and is continuously growing, which is why the possibility of reaching the mobile audience is imperative. 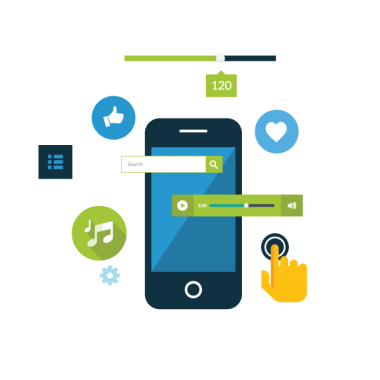 Mobile marketing allows you to reach your targeted audience anytime, anywhere. This creates a stronger user experience that extends beyond the standard banner ad, which can be easily overlooked on a mobile screen. We have a savvy mobile marketing team and can manage your entire mobile campaign from strategy outline, audience profiling, campaign design and development, right through to delivery and reporting.